wow.. what a great blog! 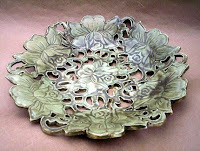 Thanks so much for including my Carved Lace Bowl!! such a perfect selection! gorgeous! Very sweet choices. The color palette is especially nice. I'm looking forward to the next aspect of Romance. Wonderfully romantic! Thank you, I'm homored to be included. 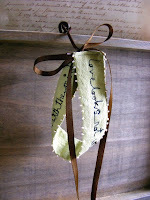 Wow Andria ~ What a lovely article and fabulous finds to go with... Stunning! The beach photo beckons me to come, and the beaded wrist cuff is simply gorgeous ~ it's all beautiful! The plaid scarf you just added to your textile shoppe is fabulous! Beautiful elegant selection! 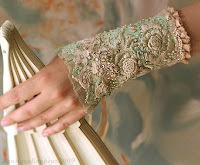 Thank you for featuring my embroidered cuff. 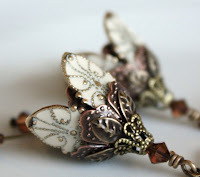 Thanks for the mention, great blog showcasing some lovely items. btw I tweeted this blog too. You put together such a beautiful story with the images you pick. I love that you sidestepped the hard to access treasury to create your own treasury. They've been impressive every time. Thank you for sharing. love the soft, subdued colors! 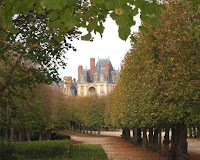 Thank you so much for including my photo of Chateau de Fontainebleau in you lovely collection of romantic tresures. And props to all the sellers included on taking marvelous product photos. Absolutely charming! All of them! The delicate carving in the lace bowl, the whimsical fiber arts, the romantic photographs, the repurposed vintage brooches, the ornate earrings- all of them are just delightful. As always, Andria has gathered wonderful items that have a common 'thread'. Andria your artist's eye is evident, not only in your weaving, jewelry, and fibers but also in your ability to discern quality wherever you look. This is truly lovely! Very romantic, these are all wonderful! These are just gorgeous! It is wonderful visual storytelling, soft, moody and lovely.